From June 8-17, volunteers from Honda and its dealers and suppliers conducted group volunteer activities in 48 states, Canada and Mexico. The Week of Service coincides with Honda's Founder's Day in North America, which marks the establishment of the first Honda business operation in America, on June 11, 1959. "We are truly proud of Team Honda for assisting so many nonprofit organizations that are vital to helping people in need," said Jeffrey Smith, vice president, Honda North America, Inc. "The incredible response we received from our associates, our dealers and our suppliers to this year's call for service projects shows that great things happen when people with a shared commitment come together to make a difference in the communities where they live and work." 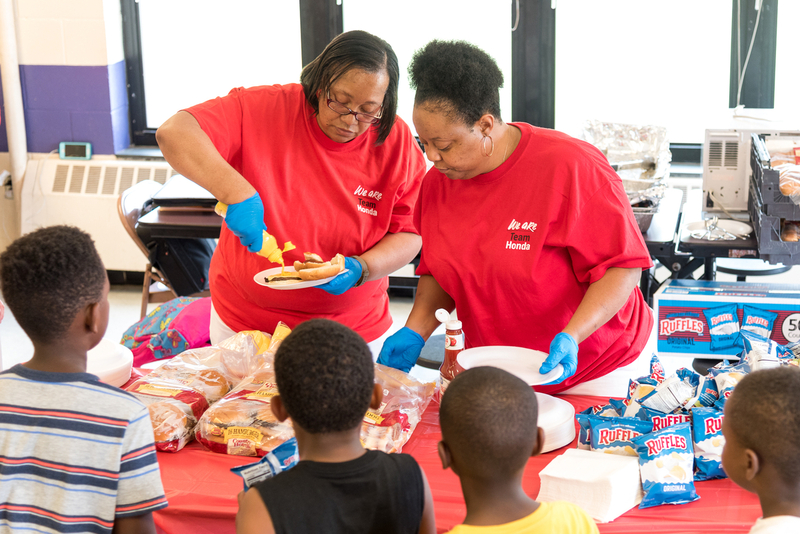 "The Team Honda Week of Service was a great success for us and our community," said Leanne Price, service department coordinator/customer relations with Auburn Honda, a dealer in California. "The two organizations we helped are thrilled, and we had a wonderful experience giving back to our community." "This Team Honda Week of Service is a great initiative," said Roona Ahmed, human resources specialist with Jefferson Elora Corporation, a Honda supplier in Ontario, Canada. "It is awesome to see the amazing work the different companies are doing." Honda's corporate goal is to be a company that society wants to exist, creating products and technologies that improve the lives of people while minimizing the environmental impacts of its products and business operations to ensure a sustainable future. Honda is committed to making positive contributions to the communities where it does business, conducting socially responsible business practices and promoting diversity in its workforce. From Honda's involvement in STEM education and Historically Black Colleges and Universities (HBCU) to its support of pediatric brain tumor research and volunteer efforts by Honda associates, including environmental clean-up activities, Honda believes in giving back to the communities where its associates live and work.